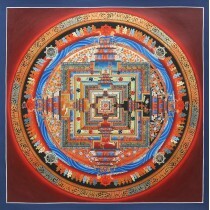 This is a painting of a god Vajrasattva who is a boddhisattva in mahayana Buddhist traditions. 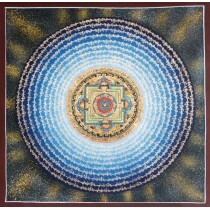 This thangka is an master piece created by artist using different colours and gold on the canvas. Its dimension is 25" of weidth and 34" of height. 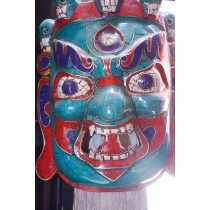 This piece of art is made in Nepal. 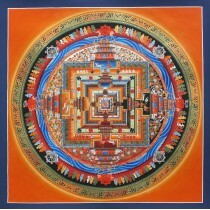 Thangkas is an art of representing and visualizing of dieties.In this Thangka the visualization of Shakyamuni Buddha is represented .It has the dimension of 25" weidth and 34" height. 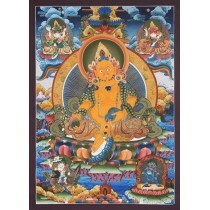 In this Thangka painting poster colours and gold is used to create this excellent piece of art. And this art is drawn on the canvas. 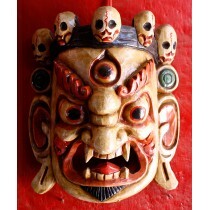 This piece of art is made in Nepal. 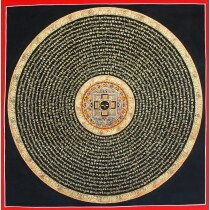 Kalchakra mantra mandala is a hand drawn painting painted with poster colour and gold on the canvas.Its dimension is 19" H and 19"W inches. 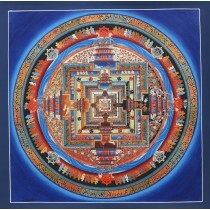 This painting is made in Nepal. 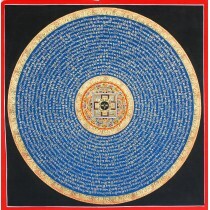 Kalchakra mantra mandala is a hand drawn thangka.This painting is made in Nepal.Its dimension is 19"H and 19"W. It is painted with poster colours with gold in canvas. This beautiful mountain painting of Mount Annapurna measures 47.5" of width and 23.5" of height. It is painted by an experienced artist using acrylic color on canvas. It is one of the finest among the mountain paintings. Painting can be used for decoration anywhere in office and houses. This beautiful mountain painting of Annapurna and Macchapuchre measures 36.5" of width and 20" of height. It is painted by an experienced artist using acrylic color on canvas. It is one of the finest among the mountain paintings. Painting can be used for decoration anywhere in office and houses.